"we bought the lightweight wheels & the graphite coated axles. they were VERY nice & the wheels were about as true as you could possibly get. very nice quality & a great company to deal with. parts bought, paid for & shipped with out any issues." Official AWANA® Grand Prix Wheels lathed to perfection. Our lathing process makes these wheels precision tuned and lighter weight giving you a fast start and precision rolling all the way to the finish line! Outside tread is trued to be perfectly concentric with bore. Outside wheel edge is lathed to remove mold stem and smooth rough edges to reduce friction when wheel hits guide. Material is removed from inside the wheel to balance the wheel and give you a fast start and higher speed. Hub coned and squared to reduce friction when wheel touches car body. Official AWANA® Grand Prix Speed Wheels, made by Awana, precision tuned for optimal performance, sold in sets of 4. Note: BSA Cub Scout racers can not use these wheels! Pinewood Pro is not affiliated with Awana Clubs International. Very nice and light wheels. These worked perfectly! My son's car took first place last night!!!! Thanks Pinewood Pro! 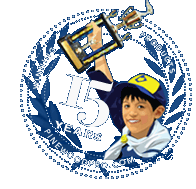 We have been using Pinewood Pro products and speed tips for 2 years now. The three races we have competed in have all resulted in trophies. We have won 2 first places, 1 second and 1 third. I highly recommend the products. What has been most important are the smiles that my son shares with me because we work on his cars together. He also enjoys the blessings and success he is experiencing. Have fun! The boys took 1st and 2nd in the speed division with new track records, they had a great time. The wheels were perfect we simply polished the bore with graphite and they were fast! Service and shipping were great! Combining these wheels with the matched axles gave us first place, no car came within three feet of us at the finish. We still polished the bores and graphite coated them. Do the work and these wheels will do theirs. Lighter means speed and it shows with these! Much better than the standard wheels in the kit. we bought the lightweight wheels & the graphite coated axles. they were VERY nice & the wheels were about as true as you could possibly get. very nice quality & a great company to deal with. parts bought, paid for & shipped with out any issues. I purchased a set for each of my sons. One was racing for speed and never lost a race. My other son just wanted to win design but still won the first two heats. After the second race he dropped his car and one of the lathed wheels broke. We replaced it with a standard wheel from the Pit and unfortunately he began lagging behind in the following races. He still brought home a first place trophy for design - crisis averted. Although I was a bit skeptical at first, it does appear that these wheels do make a difference.